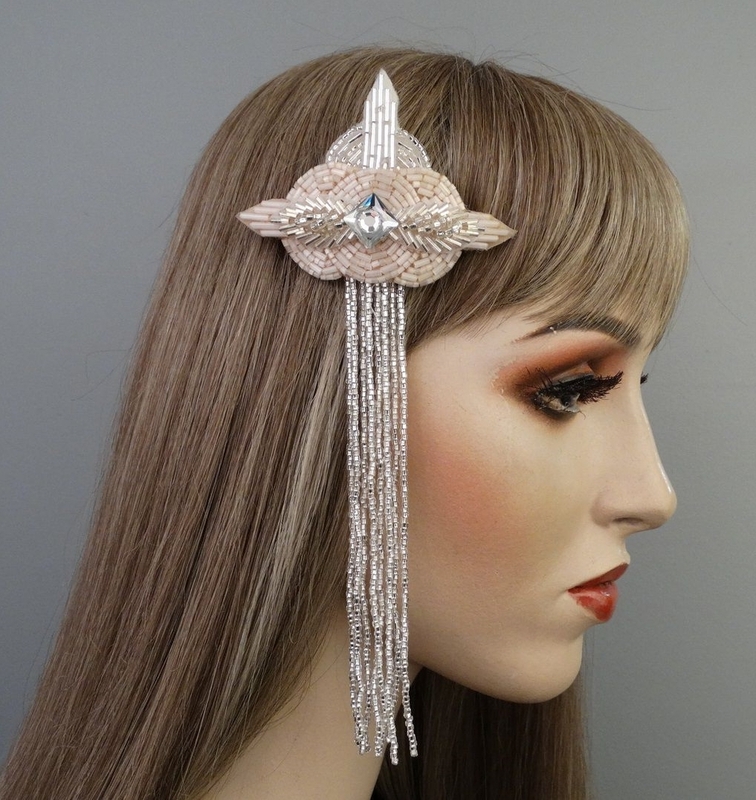 Amelia hair clip is a silver and ivory glass beaded hair clip from Gypsy Renaissance’s Hair Clips collection. Embellished with beaded fringe and finished with a Swarovski crystal. 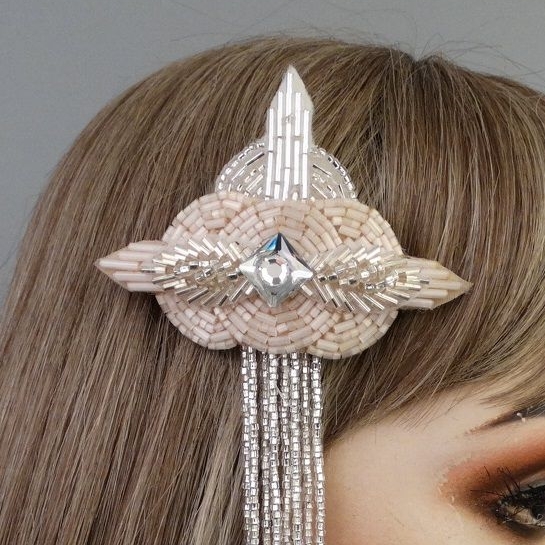 Amelia hair clip is fashioned with ivory and silver glass beaded appliqués and silver glass beaded fringe. Finished with a Swarovski crystal.